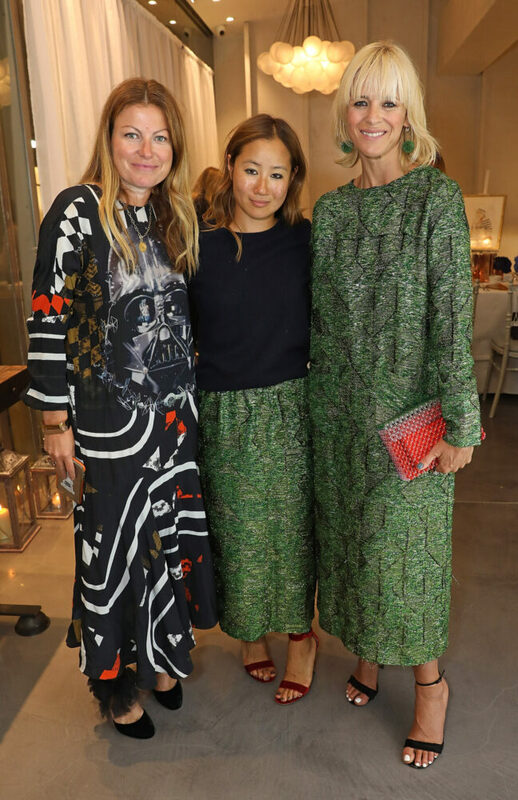 Jenny Walton, fashion illustrator and Fashion Director at The Sartorialist, co-hosted two events with jeweller Monica Vinader to celebrate their recent collaboration; ‘The Signature bangle illustrated by Jenny Walton’. 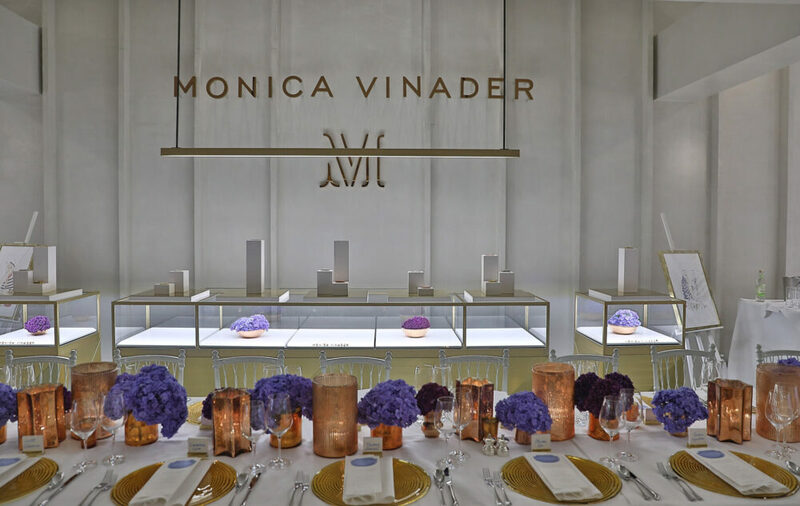 On Saturday 17th September Monica Vinader and Jenny Walton held an intimate dinner held at Monica Vinader’s Chelsea flagship store Walton’s illustrations and Monica Vinader’s iconic Signature bangle. 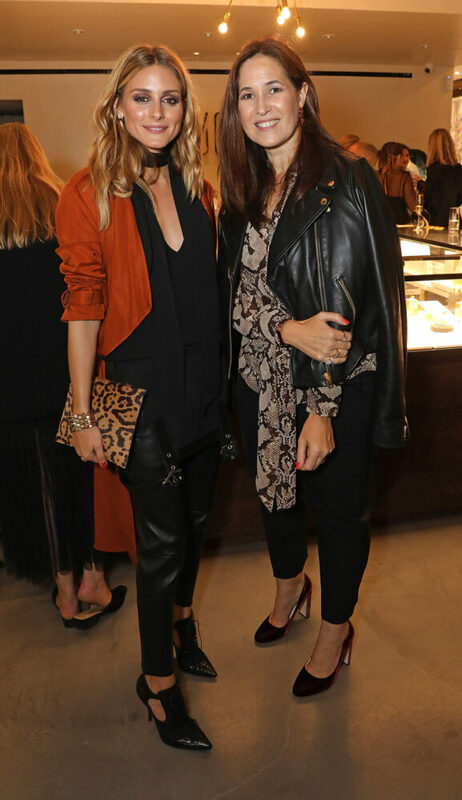 Press and VIP guests such as Olivia Palermo, Scott Schuman Amber le Bon, Chelsea Leyland, Tina Leung, Alicia Rountree and Sarah Harris attended the London Fashion Week event. Enjoying the finest English sparkling wine courtesy of Nyetimber, guests arrived to preview Jenny’s first ever exhibition debuting in London, an installation which will be hosted at the Monica Vinader flagship store throughout September. After welcome cocktails and canapes, guests settled down to a dinner of lobster with zucchini linguini, followed by maître choux eclairs. Earlier this week, in New York, Monica Vinader and Jenny Walton celebrated the collaboration in quintessential New York style, in a candle lit Chelsea loft showcasing Walton’s life-sized illustrations. Some of the fashion world’s most well-known personalities; Emma Ferrer, Caroline Issa, Mia Moretti, Scott Schuman, Corinne Bailey Rae, Daisy Prince, Chloe Malle and Jane Keltner de Valle joined Jenny and Monica to celebrate and take a closer look at the Signature bangle that inspired Jenny’s artwork. Guests toasted to the collaboration with elderflower cocktails and elegant canapes prepared by Silkstone. The Signature bangle is the latest addition to Monica Vinader’s collection of customisable, stackable jewellery. True to the brand’s design aesthetic, the Signature bangle can be worn from day to evening to finish any look.